After rumors and speculation late last month, Electronic Arts today announced an agreement to acquire PopCap Games. The transaction is expected to close in August 2011, subject to customary closing conditions, including regulatory approvals. EA will pay approximately $650 million in cash and $100 million in shares of EA common stock to be issued to certain stockholders of PopCap. PopCap, which employes about 400 people, provides casual digital games for mobile phones, tablets, PCs, and social network sites, including blockbuster titles like Plants vs. Zombies, Bejeweled, and Zuma. The Seattle-based company has more than 150 million games installed and played worldwide on multiple platforms: the Web, PC, Mac, Nintendo DS, Nintendo DSi, Wii, Xbox, Xbox 360, PlayStation 3, Zeebo, Cell Phones, PDAs, iPod Classic, iPhone, iPod Touch, iPad, and Android. In 2010, approximately 80 percent of PopCap's revenue was on high growth digital platforms. In 2010, PopCap made over $100 million in revenue. 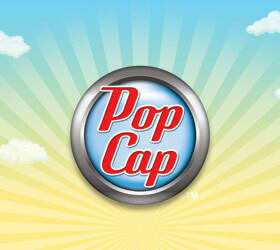 Founded in 2000, PopCap was eyeing an Initial Public Offering (IPO) for the October 2011 timeframe. If EA's acquisition goes through, an IPO will no longer be necessary as EA is obviously a public company already. Skeptics thought the gaming giant wouldn't go through with the PopCap buy, despite rumblings that the two were in deep talks. This is because EA recently told the public markets that it was through making big acquisitions, especially after buying Playfish in November 2009 for $300 million. "EA and PopCap are a compelling combination," EA CEO John Riccitiello said in a statement. "PopCap's great studio talent and powerful IP add to EA's momentum and accelerate our drive towards a $1 billion digital business. EA's global studio and publishing network will help PopCap rapidly expand their business to more digital devices, more countries, and more channels." "We picked EA because they have recast their culture around making great digital games," PopCap CEO David Roberts said in a statement. "By working with EA, we'll scale our games and services to deliver more social, mobile, casual fun to an even bigger, global audience."